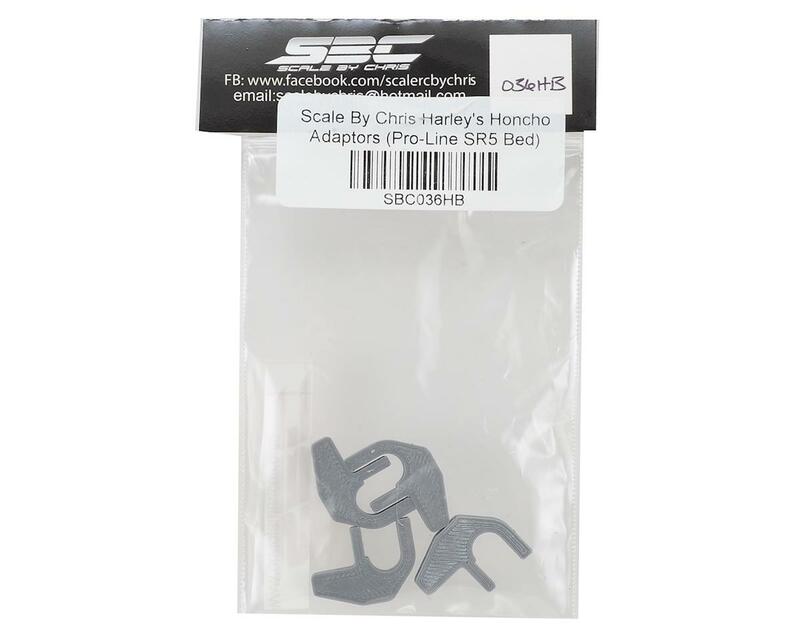 Scale By Chris Harley's Honcho Bed Mount Adapters give you another option for your Pro-Line SR5 equipped SCX10 rig. If you love the look of the Honcho rear cage and spare tire mount, but don't want to give up the look of a full bed, or even if you just want a full depth cargo area in the bed - these mounts are a must have. These Adapters were designed by Harley Designs, and made available to everyone on Thingiverse. Because not everyone has access to a 3D printer, Chris stepped up to the plate with permission from Harley, and made these parts available at a very affordable price. Now anyone can equip their Pro-Line SR5 with a custom rear cage and full depth bed look. Installation is easy! Simply assemble the front cab half of the body and Honcho cage assembly, and use the same holes in the cage that hold the pan in with 2mm screws. Then cut the inside of the bed out so that all that is left is the fenders and tail gate (see video for details). Mark the bed side holes, drill them out big enough for 2.5mm screws and install. 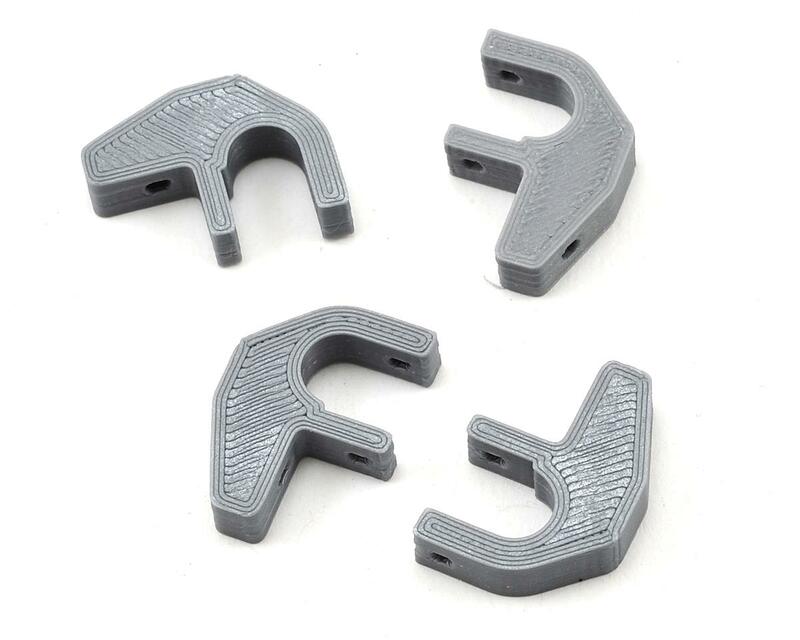 Package includes four bed mount adapters. Hardware not included. Rather fragile pieces. Don't try and tap the small holes! You will break them! I recommend ordering two sets to begin with as they are often back ordered. Best to use 2mm X 18 socket heads with nylon nuts, instead of tapping, to mount to cage. Also, DO NOT tighten, just barely snug them down or they will break. 2.5mm button heads work well to mount the body. Just go slow the first time you thread them in. Once you figure it out, they seem to work well. Durability during a rollover is still a question mark. We shall see.